Kingdom plots in sizes of 110, 160, 225, 325, 475 sq. yds. 1. 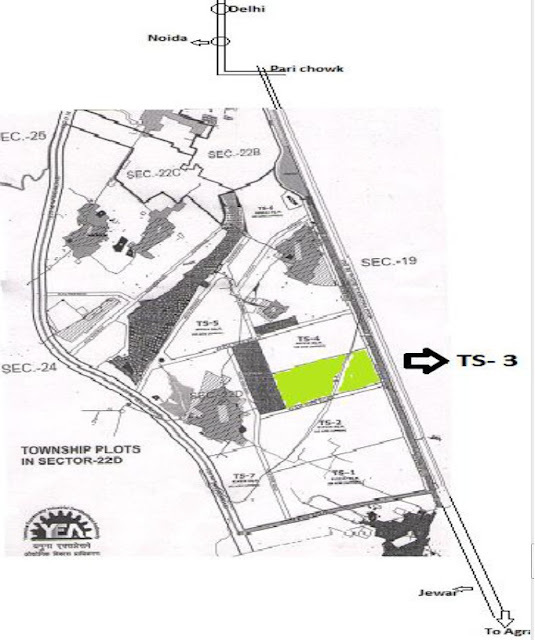 Location- Plot no – TS- 3.Strategically located on the 150 wide (Yamuna-TAJ Expressway) which is within minutes of distance from the proposed Airport,Night Safari, Formula 1 Race Track, Gautam Budh University and ICC Cricket Stadium . 2. Water Body- The incredible feature unique to GOD is a huge water body in the township that elevates the concept of luxury living to a different level. This has opened up new vistas of entertainment and also creating natural beauty and serenity alongside. 3. Forest – One of the unique features of Golf Kingdom Township is the dedicated permanent green cover which is adjacent to its boundary. So that means you have your house next to the forest / green cover. 4. Township – Come, live the pulsating life at a unique one-of-a-kind fully built up Township in India, the 100 acres Golf Kingdom. 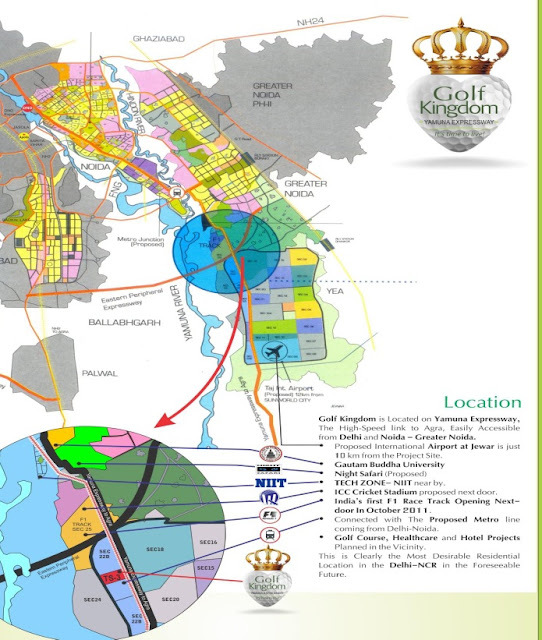 This Luxury Township in NCR boasts of well planned clubhouse and meditation centre. 5. Civic Centre Packed with convenience and contemporary amenities, it is a mixture of commercial / retail / institutional / residential uses. It also features pedestrian friendly open spaces links. 6. Neighborhood Through the synergy of multiple neighbourhoods coming together, the towns are formed with clear edges which help to define residents’ identity. 7. Eco- Friendly An eco-residential area with open spaces preserving natural environment, eco-retreats and hosting eco-activities. 8. Sports Centre It comprises a 9 hole golf putting Course and other exciting sports facility like swimming pool, badminton, lawn tennis, table tennis, snooker, billiards, and basket ball etc in its world class environment. 10. 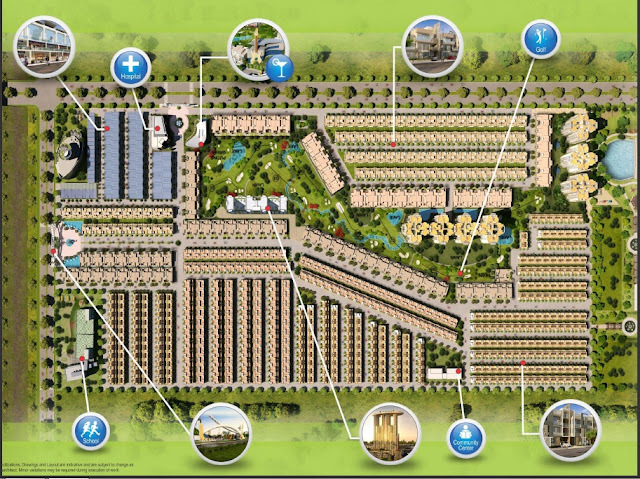 Security Highly secured gated community through centrally monitored 3-tier security system. 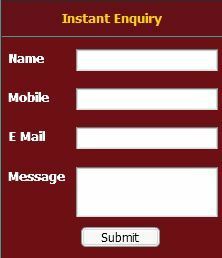 Cheque to be prepared in favour ofKARAN BULL INFRATECH PRIVATE LTD.